Members of the Braidwood Community Association with John Barilaro and Tim Overall at the announcement of the $200,000 Everyone Can Play funds. Photo: Alex Rea. Braidwood has been a favourite stopover on the Kings Highway for generations of Canberrans popping down to the coast. 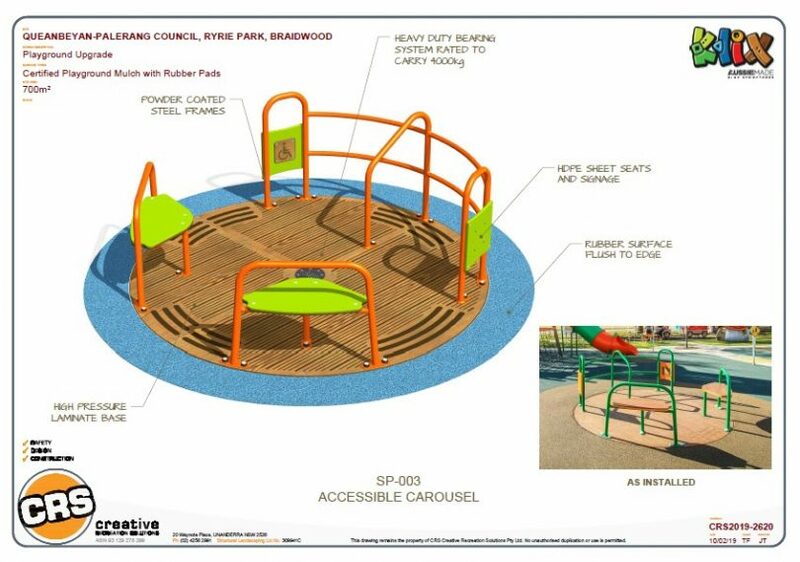 The stopover will now be much enhanced by a new playground in Ryrie Park. When Palerang and Queanbeyan City Councils were amalgamated in 2016, $500,000 from the $9 million Stronger Communities Fund was allocated to enhance the Braidwood town centre. 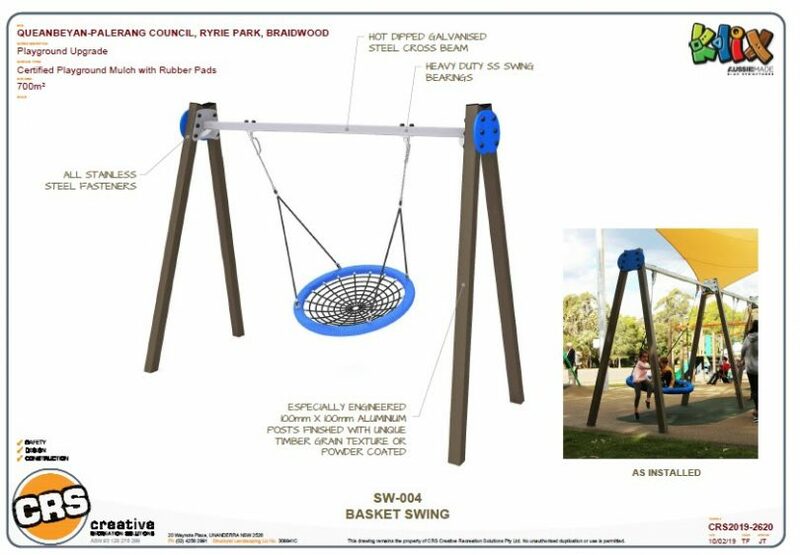 Last week, Queanbeyan Palerang Regional Council awarded the tender for the construction of a new playground at Ryrie Park with a portion of this funding. The decision comes after several years of community conversations about what would be appropriate in the heritage-listed town, and the rejection of skate park on the site beside the swimming pool, which is highly visible as you enter Braidwood. 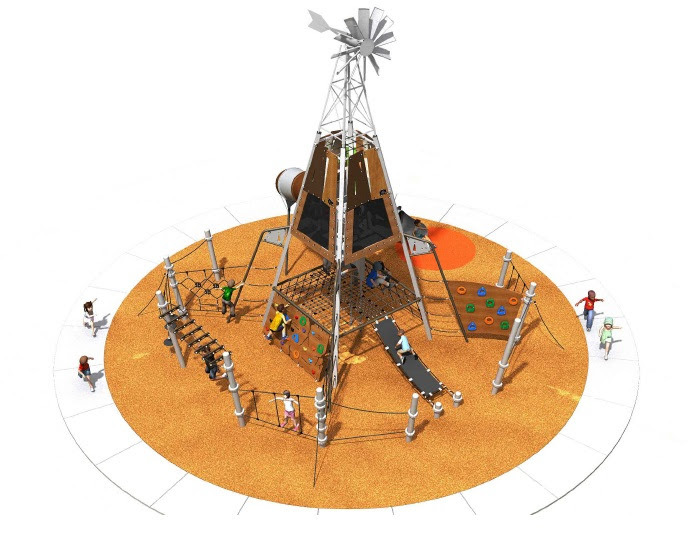 The dominant feature of Braidwood’s new playground will be a windmill-themed climbing structure. The enhancements will see the old playground replaced with a new climbing and sliding structure, resembling an Australian rural windmill. It also includes a carousel, an inclusive rocker, a basket swing (to add to the existing set), a slide and a rope bridge, shade (pergola) over swings, a cozy dome, spinning elements (wheelchair accessible), spring rockers, rope bridges, portholes in any solid walls, climbing walls, monkey bars, rubber soft fall and a ‘traveller’ or flying fox. With $289,000 allocated from the Stronger Communities Fund, the Braidwood Community Association (BCA) put a lot of effort into raising $11,000 to contribute to the project and were successful in gaining a further $200,000 grant from the NSW Government as part of the Everyone Can Play Grant. 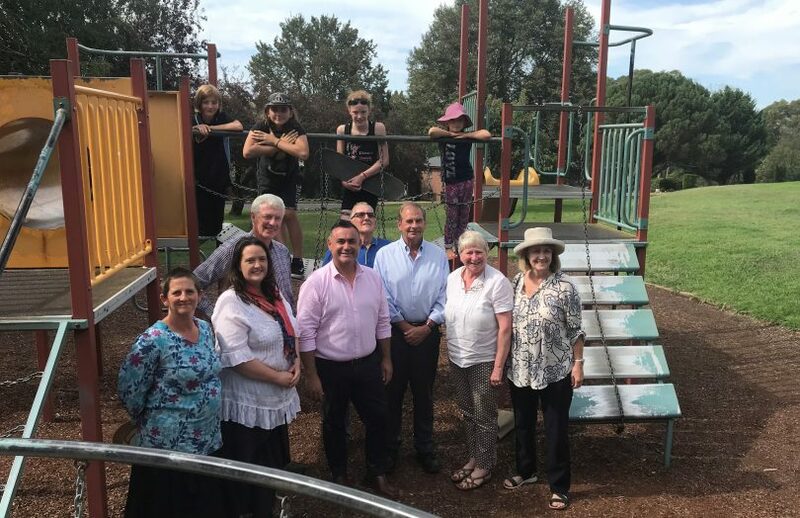 A further $161,000 from the Stronger Communities Fund Grant became available after an unsuccessful tender for kerbing work on Braidwood’s main street, and has been allocated to the Ryrie Park BBQs, rotunda, street furniture and repairs to water stations. All up $661,000 has been allocated to the improvements. The tender has been awarded to Creative Recreation Solutions. “This is a fantastic boost for local families and kids, as it will support the upgrades to open spaces our community wants and needs – places that are accessible to all, places at the heart of the community that help keep us connected,” he said. Designs for the accessible carousel. Designs for the basket swing. Braidwood Community Association President Sue Murray said the grant was terrific news for the families of Braidwood. “This announcement is a reflection of the community’s campaign for a new playground. We have had donations and letters of support from all corners of the community, and this is a huge achievement for us,” Mrs Murray said. A master plan for the Braidwood CBD has been created by Phillips/Marler Architects following community consultation that encompasses the main CBD of Braidwood, including Ryrie Park North and South in Wallace Street. Although the location of a skate park is yet to be decided, QPRC and award-winning skate park designers CONVIC will be conducting two pre-design workshops to help them design a skate park for Braidwood. The workshops are on Tuesday 9 April. There is a Youth Community Workshop from 4 – 5:30 pm and an Open Community Workshop from 6:30 – 8 pm.